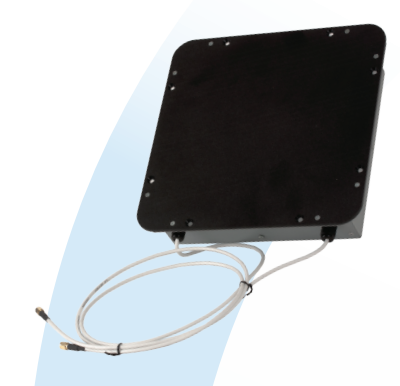 The PNL86506BC RFID near field antenna operates within 865-868 MHz and offers improved performance over many UHF near field antennas. Designed using proprietary software optimization tools these antennas provide uniform field strength across their entire aperture. There are no hot-spots or dead-spots ensuring reliable tag reading no matter where the tag is placed on the antenna surface. The design is also much less susceptible to detuning in the proximity of metallic objects or when a large number of tags are placed on the antenna for reading. Two configurations of the product are available. One is a dual port configuration that utilizes polarization diversity in order to provide operation in a dual mono-static mode. 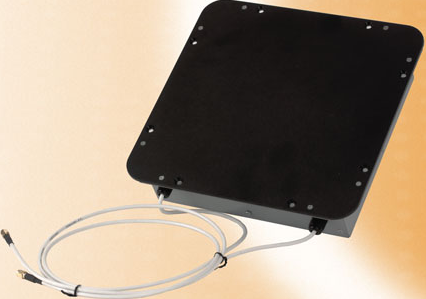 This antenna is ideal for use with multi-port readers. The other configuration is a single port antenna with circular polarization that can be used with either a single or multi-port reader. Each configuration is available with a choice of either side-entry or bottom-entry coaxial feed. Every model is available in a choice of two frequency ranges: 865 to 870 MHz or 902 to 928 MHz.